We’re at a pivotal moment in business history, one not seen since the Industrial Revolution: the end of product ownership as we know it. Now we subscribe to services. And not just streaming services like Netflix and Spotify—even industrial firms like Ford and Caterpillar and retailers like Walmart provide subscription services. So how can your business survive and thrive in the new economy? In this riveting talk, Tien Tzuo shares tales from the trenches to show how your company can prosper. 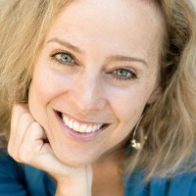 You’ll learn what companies like Ford, Adobe, EA, and The New York Times wish they had known about embracing the subscription business model and how subscription businesses are growing revenues up to nine times faster than S&P company revenues. How do you build a billion-dollar business? Lots of people think that success is a linear path. 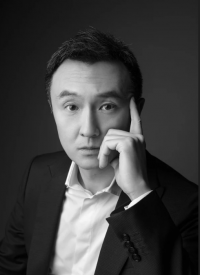 But while working at Salesforce from 1999 to 2007, and growing his own company Zuora through Series A to IPO, Tien Tzuo learned the path to a billion was not a single path, but rather a series of journeys with lots of switchbacks. At each turn, his company was completely changing directions. At each new phase, the company practically became a new organization. And the things that made it successful in the last stage sometimes turned out to be the very things holding it back from succeeding in the next one. If you want to grow, you have to throw out the rules, bring out a clean sheet of paper, and redesign the company. But how do you know when to make a change? In this talk, Tien Tzuo, CEO and founder of Zuora, will share the phases that define the climb to a billion and what you need to work on in each phase. Subscriptions are exploding because billions of digital consumers are increasingly favoring access over ownership, but most Fortune 500 companies are built to sell products. If you’re not shifting to this business model now, chances are in a few years you might not have any business left to shift. Shifting from selling products to selling services can be hard. Marketing is irate because they lose their big launch day. Development is having kittens because they’ve lost their entire production schedule. And finance is not exactly overjoyed at the imminent prospect of seeing their quarterly revenue numbers tank. So, how do you do it? In this must-hear talk, Tien Tzuo shows how your company can make the switch with as little pain as possible. The implications of “the end of ownership” are far-reaching. How do you create products to stand up to more constant use; keep customers engaged and offer new personalized experiences; compete against a growing number of subscription products and services; and transform your business systems to keep up with flexible pricing models? Informed by a decade of insights from Zuora, the world’s largest subscription management platform, Tien Tzuo, shares how business leaders in every role can prepare and prosper in marketing, IT, finance, product, and sales. What might help explain the explosion of digital subscriptions we’ve seen in the past several years? There’s a whole new generation of consumers who are comfortable subscribing for services — music, movies, food boxes, productivity apps — as long as they stay timely, relevant and focused. Today we seem to be in a new golden age of media—one that feels similar to the old studio system. Spotify, for example, went from zero to more than 50 million paying subscribers in less than nine years, and streaming sites eventually won the online piracy war and provided a much more reliable business model as well. If you want to survive, you’ll need to learn the secrets of the subscription model from the foremost expert on the Subscription Economy, Tien Tzuo, and how you can apply these strategies to your own business in any industry. Thanks to almost a decade of applied sensors and connectivity, US manufacturing is the “old man” who is about to wake up in a new body. IoT is turning from theory into reality (there are now real business models with very real profits), which means manufacturing could be about to experience the same remarkable run of growth that the technology industry enjoyed after the dot-com boom. By 2030, IoT is projected to explode into a sector that will be roughly the size of the current economy of China, or around $14 trillion. Because data collected from IoT connected field assets or home devices allows you to rediscover your customer, it lets you learn what they really want. In this talk, Tien Tzuo will show how the only true competitive advantage is your relationship with and knowledge of your customers and how to monetize these services by a subscription business model. The shift in consumer behavior from buying products to subscription services has created new revenue opportunities for companies like Apple, Cisco, Netflix, and Amazon. Focusing on the delivery of services over products, tech stalwarts are turning around and seeing record revenue growth. Amazon made $9.7B in revenue last year just from subscriptions, up 52% from the previous year and Electronic Arts generated more than $2B in revenue in 2017 for its “live services,” which includes subscriptions to its gaming service EA Origins. In this talk, Tien Tzuo takes a look back at the last 10 years of the subscription economy and looks forward to the next 10, when we’ll be subscribing to everything: information technology, transportation, retail, healthcare, and even housing. In an effort to empower this new economy, Tzuo spent his years at Zuora building an award-winning subscription management platform capable of powering any subscription business. 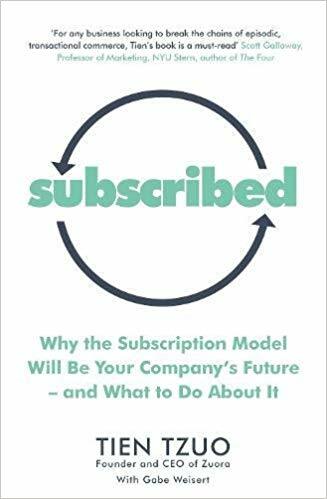 The story of his vision can be found in his new book SUBSCRIBED: Why the Subscription Model Will Be ‘Your Company’s Future — and What to Do About It. Before Zuora, Tzuo was one of the ‘original forces’ at Salesforce, joining as employee number 11 in 1999. 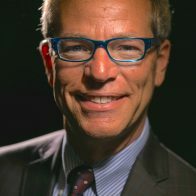 He held a variety of executive roles, including chief marketing officer (CMO) and chief strategy officer (CSO). 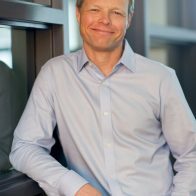 He personally oversaw the vision, direction, and design of the first 17 releases of salesforce.com’s award-winning product line, including the launch of salesforce.com and the AppExchange. 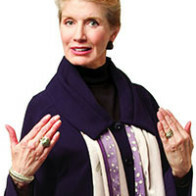 In 2004, Tien was named CMO of the Year Finalist by the CMO Council and BusinessWeek Magazine. Tzuo holds a BS in electrical engineering from Cornell and an MBA from the Stanford Graduate School of Business.